This supplemental resource is to be used with the Journeys Reading program (2011), Unit 2, Lessons 6-10 and the accompanying paired stories. 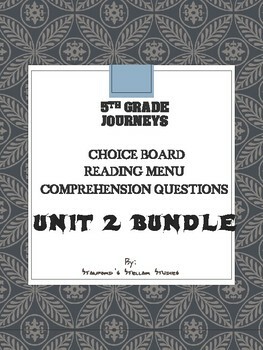 This teacher resource was made with the intent of providing meaningful Common Core related practice while the teacher met with individual guided reading groups. 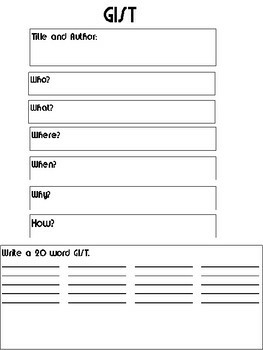 However, this resource can also be used at a literacy center or as a station, during cooperative learning, or even as a component of your direct instruction. 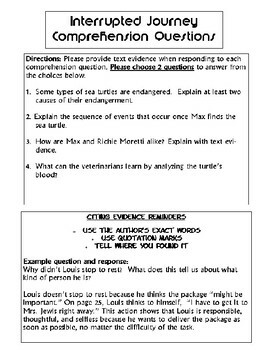 Also included are 4 rigorous Common Core comprehension questions per selection which require students to cite evidence. The attached rubric has a section for the student to score themselves as well as a section for the teacher to score the student. There is a comment section where the teacher can provide additional feedback. I have also included a Frayer model graphic organizer. Please note that the Frayer model is not the traditional model as there is a section for an illustration instead of a characteristic section. I always found that my students needed that visual piece when learning new vocabulary words. 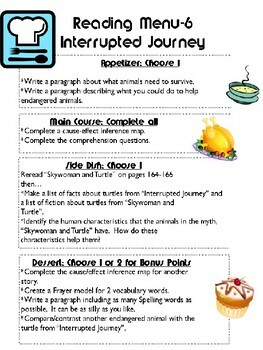 The GIST graphic organizer is a great way to practice summarization and can be used with nonfiction as well as fiction. DISCLAIMER: Please Note: These materials have been created by Christine Stanford. The materials are not developed or endorsed by the Houghton Mifflin Publishing Company. Come see the HUGE SELECTION of AWESOME CHOICE BOARDS for Upper Elementary and Middle School novels in my store! Adding more choice boards every week! Follow my store for updates on new products and freebies posted! **Did you know that providing feedback can earn you credits toward free purchases? If you enjoyed using this resource, please provide feedback! Thank you!